According to the news, an improvised bomb placed in a bucket and left on the floor of a London tube carriage caused damages and injuries to the passengers. We don’t know yet whether it was an IED (i.e. an improvised explosive device meant to destroy and kill by its blast wave and shrapnel or an incendiary bomb whose lethal effects are mostly burns and asphyxiation. 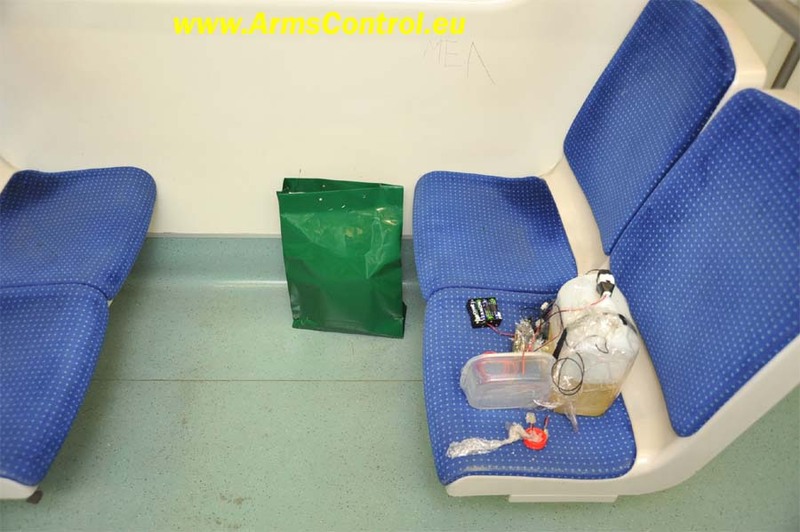 However, we should notice that such a device resembles a similar incendiary bomb in a plastic container found in an Athens Metro carriage in 2012 (reported by the Arms Control Center here). The Arms Control Center is currently working on a simulation analysis to provide the London authorities with an estimate of the effects such a bucket bomb would cause, in case it is an IED. The analysis will be posted on the Arms Control Channel on Youtube and on the website of the Arms Control Center soon. This entry was posted on Friday, September 15th, 2017 at 5:41 pm and is filed under TERRORISM. You can follow any responses to this entry through the RSS 2.0 feed. Both comments and pings are currently closed.